In Seattle, amongst the discarded coffee cups and heads bent low to avoid the rain, there is a beautiful partnership brewing that spans generations: the Intergenerational Learning Center (ILC), housed within the walls of Providence Mount St. Vincent assisted living facility. This arrangement solves one of the underlying problems of our society– the lack of wisdom passed down the generations. The brilliant idea that is the ILC takes a solid swipe at this generational disconnect. This program places a pre-school inside of an assisted living facility. 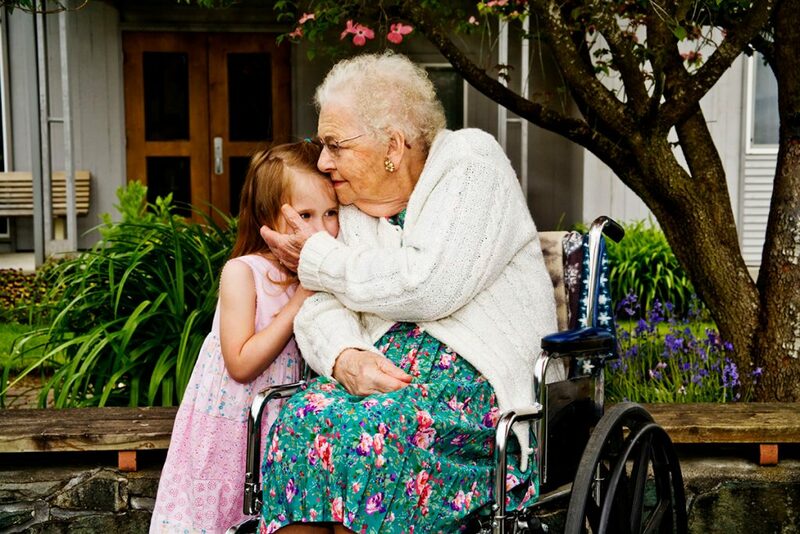 Imagine lonely octogenarian widows and widowers, lonely and isolated, being greeted by wee ones. Being asked questions that are at once awkward and disarming, watching the kids cry and yell and flop about like a litter of puppies. The learning and the joy! It is no secret that the aging population is increasing (please see our previous blog posts for further information on this). A great way to combat the shortage of qualified help in the future is to break down the stigma that exists between youth and Elder. At the ILC, children get used to seeing and interacting with people in wheelchairs, using walkers, oxygen, canes, etc. This creates kids who are able to interact comfortably with not only the elderly, but with others with special needs as well. If only this could become a norm. Add in more access to nature for both youth and Elder and I believe many a problem in this country could be avoided. I find it worthwhile to imagine better situations, better solutions to the problems we as people face. I believe the ILC to be an elegantly simple solution to a whole range of problems.